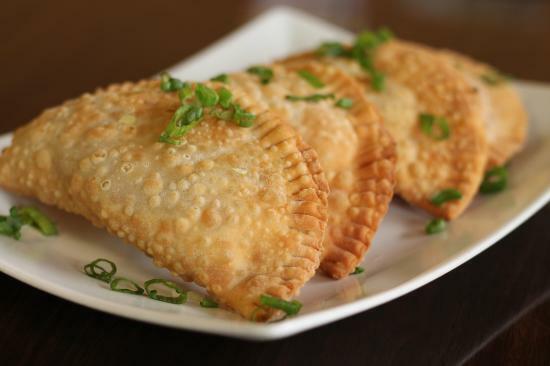 Empanada is one pastry that crosses income segments. It can be sold to the masses at mall kiosks, to the well-heeled at Sunday neighborhood markets, or even to guests at 5-star hotels! If you are looking for a quick but promising home-based food business idea, this should get you started. 1. Sauté onion and garlic in hot oil until translucent. 2. Add meat, sauté for 5 more minutes. Stir in tomatoes, stock, and remaining ingredients. 1. Sift together flour, sugar, baking powder, and salt. 2. Cut the shortening into the flour as though you were making a pie crust by working it in with your fingertips until the mixture resembles coarse crumbs. 3. Sprinkle dough with just enough cold water so that it will just hold together. Knead together briefly and allow to rest, covered for about 10 minutes. 4. Roll dough out on a lightly floured board to circles about 3-4 inches in diameter. 5. Place a spoonful of empanada filling of your choice on one side of the circle. 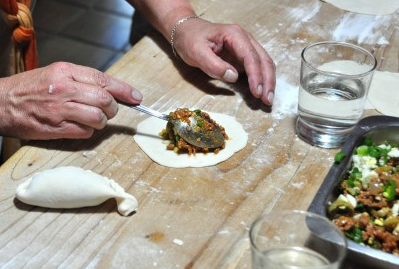 Moisten the edges of the circle with a small amount of water and fold the dough over the filling to make a half circle. Press the edges together to seal. 6. You can opt to make a pattern on the edges of the crust by pressing on it with the tines of a fork. 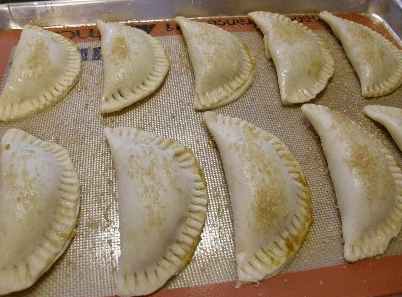 Vary your patterns if you are making empanadas with different fillings to distinguish one from the other. 7. Bake at 375° F for 15-20 minutes or deep fry in oil until the crust turns golden brown.